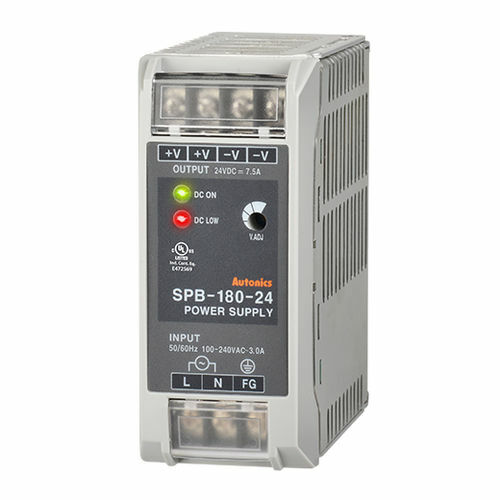 The SPB series switching mode power supplies offer high power conversion efficiency and stable power supply with low noise and ripple and minimal heat generation. The switching mode power supplies can be easily clipped onto DIN rails or mounted using screws. The slim and compact design also allows space-saving installation. The series also features various safety and user-friendly features including terminal protection covers (SPB-060/120/180/240) and rising clamp type terminals (SPB-015/030). Various output power models are available for application in diverse environments.